If you are in the market for a no-nonsense broker that is well established, has home offices in London, and is traded on the London Stock Exchange, then look no further – Londoncapitalgroup.com (LCG) is the broker that will end your search. The firm’s holding company has been in the forefront of financial trading since 1996. 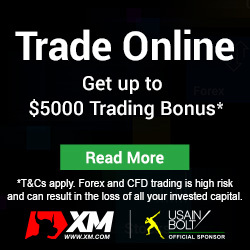 In 2003, it formed its financial spread betting broker, “Capitalspreads.com”, and in 2005, it launched its traditional forex trading offering, LCG. Initially, the broker focused on large institutional clients, but today, LCG offers a broad base of retail forex pairs trading, supplemented with futures trading in indices and commodities. The broker is also regulated and licensed by the Financial Conduct Authority (FCA). U.S. clients are not accepted. LCG is an ECN/Straight-Through-Processor (STP), and, as such, they are able to offer some of the most competitive pricing in the industry. Comparisons may be a little more difficult since their pricing follows the spread-plus-commission pricing model, prevalent for larger institutional clients, but their liquidity providers are Tier-1, as can be expected when you are a public company with more than adequate capitalization. At LCG, you only have one account classification to deal with that comes with a 10% promotional balance up to $5,000. You may trade cash and futures contracts for 39 currency pairs, both major and exotic, and supplement those trades with more than two-dozen indices and commodities asset choices. Leverage varies by asset class, starting at 300:1 for forex, and declining to as low as 40:1 for some indices. LCG uses the Metatrader4 set of trading platforms with market execution of orders. There will be no re-quotes, but prices may change due to slippage, as is the normal case when the system automatically matches orders to available liquidity providers. This mode of operating still yields the lowest pricing structures when compared to brokers with a dealing desk model. Automated trading with Expert Advisors is also supported. Support and training materials may appear thin, but LCG relies on its professional Customer Support and Sales Team to get you started. Beginners can always refer to the companion site, Capitalspreads.com, for an abundance of videos, webinars, and user guides for trading, if necessary. Daily emails prepare you for each day’s action. As a full-fledged ECN/STP broker, the spreads which LCG’s traders get are ultra-competitive interbank rates. The spreads which are charged by LCG depends on the asset that is being traded. 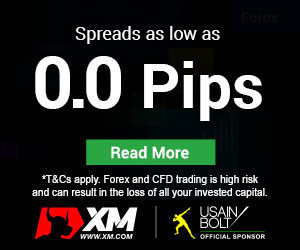 For example, the minimum spreads on the majors start from as low as 1 pips while For market indices, the minimum spread starts from 0.2 pips. The available leverage also depends on the asset and can range from 1:40 to 1:300. The customer support servicing hours are from Monday to Friday from 8am to 7pm (UK time). To contact the support staffs, traders can do it by email, live chat or the telephone. Although LCG was predominantly focused on spread betting previously, with the recent revamp of their business focus they now have more to offer to retail traders. Now, they can expect premium quality services, low trading fees and dedicated support without having to constantly worry about the safety of their funds. With the regulatory oversight provided by the UK’s FCA, they can be assured that their interests are protected by with the force of legislation. I trade with LCG and my experience has been good so far.